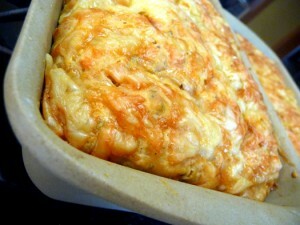 Cheese Bread recipe by Zeba at DesiRecipes.com. Combine egg, milk, and butter. In a mixing bowl, combine the remaining ingredients. Make a wellin dry ingredients and add milk mixture. Spread into agreased 5 x 9" loaf pan.